Breton Coast & A long walk – My walks around the world! When you visit Brittany you are treated with tasty galett’s, beautiful scenery, quaint villages and lack of tourism in most places. People sunbathe without a care in the word and the farmer’s market vendors talk to you at length about their produce and products. One of the benefits of travel is meeting wonderful people who become friends as years go by and show your their favorite spots. Paulene and Trevor took me to their favorite places like granite rose coast, pamphiol, cape fréhel , dinan and st Brieuc. 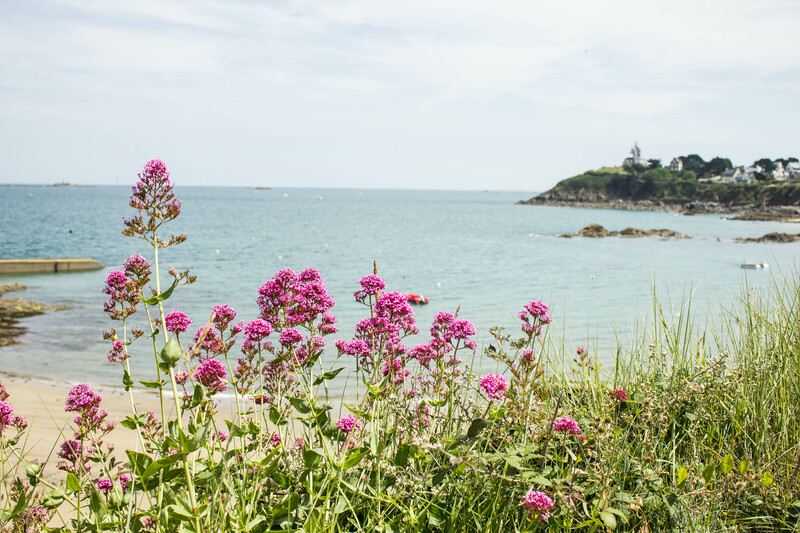 I loved visiting Brittany region and the coast of Brittany. It heals the soul with its good food, scenery, people and solitude without crowds. I spent my time taking walks with friends, preparing and eating fresh veggies and fruits and having deep conversations. I am thankful for this time and my friends. I hope someday I can come back and walk G-34 trail that goes along the coast. I was lucky to have my friends Paulene and Trevor to drive me around and show me all their favorite spots.